You can clean your solar panels yourself if you keep a couple things in mind. Cleaning your solar panels of the accumulated dirt and filth is the goal. So you may find that a dirt-coat on your solar panels collects after 2 months than you would want to have them cleaned every 3 months. In general you may cleaning your solar panels depending on the weather conditions and circumstances of your location. It is recommended to schedule cleaning your solar panels around twice a year aiming at a 15%-16% increased output compared to the case of leaving them uncleaned. Of course this is subject to location specific circumstances such as pollution from factories or airports or from ‘dirty’ landscape. Bird life can in some cases halt energy production completely, if birds are a problem seek other additional steps to remove them. You should schedule your solar panel cleaning by monitoring your solar panels’ performance before and after cleaning them. This way you will be able to establish the best time and season for cleaning your solar panels as well as how often you should clean them. Our solar cleaning service is provided almost free when having your gutters cleaned. 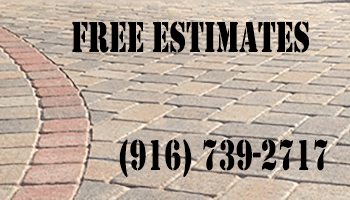 Local PRO Home Services provide’s the best possible customer services to home owners in the Sacramento. We will continue to provide services like Solar Panel Cleaning to commercial and residential property owners in the Sacramento area. What Is the cost of solar panel cleaning in Sacramento? If you’re trying to calculate the cost of cleaning your solar panels on your home, you must first consider the equivalent extra income in the production on energy from of cleaned solar panels vs no cleaned. Considering that properly cleaned and maintained solar panels will produce approximately 30% more electricity than ‘dirty’ solar panels it is easy to understand the economics. It’s an easy equation does a solar panel cleaner charge you less than the amount you earn in addition energy production by maintaining your solar panels clean. In general, if you are having a rough time cleaning your solar panels yourself, it is advisable to seek professional help. Since solar panel cleaning can influence solar panel efficiency it is directly affecting the economic performance of your solar panel investment. Solar panel maintenance is relatively easy and low cost considering that solar panels do not incorporate any mechanical moving parts. However, maintaining your solar panels in tip top condition is of significant importance for maintaining a high performance of the photovoltaic cell. Here you will learn how to clean solar panels easily and effectively! It is highly advisable to consult with your solar panel company or solar panel manufacturers before do any cleaning. Different brands may have specific materials requiring specific cleaning materials and techniques or you may cause damage to the solar panel. Plan your solar panel cleaning off solar panel production hours. This is really important for two reasons. You should aim to avoid cleaning your solar panels during hot sunshine hours. Tip: The best hours for cleaning your solar panels very early in the morning. If you are dealing with residential solar panels chances are you have them on your roof. You will need to climb on your roof to cleaning your solar panels, BE CAREFUL. Weather conditions are also important to watch while cleaning your solar panels. Working above the ground requires extreme caution. It may be advisable to seek professional help for cleaning your solar panels if you don’t feel safe, and if you don’t, Don’t do it! If your solar panels are lightly dusted you may use a normal water hose with some pressurized jet. However, this may not be adequate in cases of accumulated bird droppings, filth or dust. Wash / Clean Them with Soap. To get rid of heavier accumulated dust and stains on your solar panel glass, you may use warm soapy water with a sponge or soft cloth. What is important to clean is the glass surface of the solar panel as it is the solar panel part generating electricity from sunlight. Make sure and use the recemeded cleaner by the manufacturer. Rinse the solar panel completely, if there is a residue rinse them again. Great you should be done, but wait while your up there look around and see if there is any other possible problems like a build up of leaves or full gutters. A lot of problems can be found just by visible inspection. Have fun , be safe. Why solar panel cleaning is necessary. Solar panels generate their electricity when sunlight hits them. Solar panel efficiency, and electricity generation process , is dramatically influenced when exposure of solar cells to sunlight is reduced by dirt, bird droppings, and other air born particles. By cleaning them you can significantly increase the solar panel energy output. Accumulated of dirt on the solar panel glass, acts as a coating that reduces exposure to sunlight which influencing negatively solar panel efficiency and operational lifetime. Performing effective solar panel cleaning can greatly improve solar panel efficiency. Cleaning them every 3 months can improvement energy generation by 50%. Imagine a solar panel that has been operating without any cleaning for a whole year. Now think about how your car would look after not cleaning it all year. Would you be able to see through the windows? Probably not, in this way sunlight can’t get through to the solar cell and be converted to energy. Cleaning your solar panels after a year, may double their output.